I have been actively involved with the deaf and hard of hearing for 30 years. My daughter was diagnosed as profoundly deaf at birth. This introduced me to the deaf world and deaf culture. Over the years I have encountered many aspects of deafness and it’s consequences. Having spent a large part of my time within the deaf community, I decided to study and work with the deaf and hard of hearing. As a qualified Registered Hearing aid Dispenser (RHAD). I feel with my knowledge and empathy, I can now offer a wide range of hearing solutions to those affected by deafness and its associated problems and also help others to become more deaf aware. 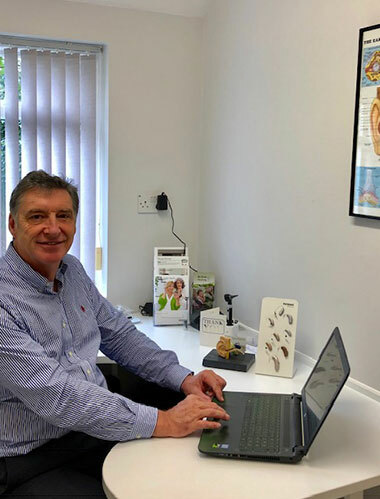 We can arrange a home visit at your convenience and give your hearing a thorough and professional assessment with no-obligation whatsoever. We specialise in assessing your individual needs and offering the best available solution’s from all the leading supplier’s.